Alexa Silver, Chair, called the meeting to order at 5:00 p.m. In attendance were Commission members Ted Gallo, Barbara Jorgenson, Nancy McGuire and Alice Ritchie, Jennifer Mulligan (Town Clerk) and guests. 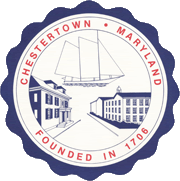 Ms. Silver stated that the Chestertown Historic District Commission takes its authority from Chapter 93 of the Code of the Town of Chestertown and operates under the Historic District Design Guidelines that were adopted by the Mayor and Council of Chestertown on October 7, 2002 and revised March 7, 2012. Ms. Silver asked if there were any additions or corrections to the minutes of the meeting of November 1, 2017. Ms. Jorgenson moved to approve the minutes of November 1, 2017 as submitted, was seconded by Mr. Minch and carried unanimously. BP2017-137 – Edge Construction/Barton, 223 Philosophers Terrace – Roof. BP2017-137 – Edge Construction/Barton at 223 Philosophers Terrace for a roof in accordance with III.7 Roofs. The motion was seconded by Mr. Gallo and carried unanimously. The next item on the agenda was BP2017-120 from Michael Macielag and Chesapeake Bank & Trust for an exterior renovation at 343-345 High Street. Mr. Joe Skinner and Mr. Jane Rosenthal were present for the application. 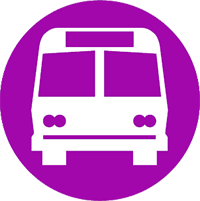 Ms. Silver read the application into the record, noting that this application was before the Commission as a concept review in November and changes that were made based on the comments of the Commission. Mr. Skinner stated that the changes included the addition of a pier that picked up the lines of the original building, offsetting the large side addition. He said that there is modern concrete block in the basement supporting the recessed storefront. The proposed canopy was straightened and modified with a flat slope. A sample shingle of the mansard was shown to demonstrate how the canopy would be roofed. The new doors will line up with the windows on the floor above. Mr. Skinner stated that he was working with Chestertown Brick on the closest match of brick to what exists on the original part of the building, noting that the bricks will not directly come into contact with the original brick and the canopy would also offer a separation between the original and new, thin cut brick. Mr. Skinner stated that there was 27’ from the curb to the face of the building and with the addition of the portico there would be 20’ from the curb to the entry canopy. He said that it will bring this building flush with the other buildings on the street. Ms. Jorgenson stated that she thought the proposed changes will minimize the look of the 1950s addition. Ms. Ritchie stated that this was a big improvement over the concept drawings presented last month. Ms. Jorgenson asked what material would be used for the pillars. Mr. Skinner stated that they would be a painted cementitious material. Ms. McGuire asked if the columns would be round or square. Mr. Skinner stated that the columns would be square. Ms. McGuire stated that this building was old and asked if the brick veneer would be applied to original brick. Mr. Skinner stated that the brick veneer would only be applied to the addition which was built in the 1950s or early 1960s. The original building will not be changed. Ms. McGuire stated that there were many of the same era buildings on High Street with mansard roofs and asked why they proposed an arch at the front of their building. She said she thought it would change the flavor of the building. Mr. Rosenthal stated that an arch was suggested by the Commission at the last meeting. Ms. McGuire stated that that this proposal fought with the mansard roof, noting that the rest of the building was linear. She said that all of the storefronts were linear and the only one that will have an arch and a portico is this one. Mr. Skinner stated that they did try a mansard roof but it looked terrible. Ms. McGuire stated that she thought the proposal should go with the flow of the mansard roof and be more linear. Mr. Skinner stated that if the roof was done as Ms. McGuire was proposing it would project into the second floor. Ms. McGuire asked if the proposal was in order to have a covered area over the windows. Mr. Skinner stated that in addition to the covered area he wanted to create a proper entry into the building. Ms. McGuire stated that the building would completely change with columns and other modern elements being introduced. Mr. Skinner stated that their goal was to change the building. He said that the 1950s changes went in the wrong direction. Ms. McGuire asked how Mr. Skinner would describe the building once the changes are made to it. Mr. Skinner stated that he would describe this as a refit building as has been done often in downtown areas. Ms. McGuire asked what the dominant architecture would be. Mr. Skinner stated that the original building was plain block with a mansard roof; the mansard being the dominant feature. Ms. McGuire asked how the columns and arches affected the original architecture. Mr. Skinner stated that he thought the changes worked with the building, although it was not the same style as the original building, noting that the original building was lost when the addition was built many years ago. Ms. Jorgenson stated that last month there was a long discussion regarding the canopy roof and she said that there were two suggestions made; an arch or a smaller mansard. She said that according to Mr. Skinner, the mansard roof did not work. She said that she thought the redesign was much improved by having the columns and doors line up. Mr. Skinner stated that a goal was to keep the center entrance on the building and do what could be done to reflect the original doors. Ms. McGuire stated that she had problems with the columns, portico, shingles and protrusion from the building. Mr. Skinner stated that there were deep porches with columns next door to this building. He said that the portico will not go beyond the faces of the other building on the street. Ms. Silver stated that the idea was to bring the front of the building out because it is flat. Ms. Silver stated that part of the reason for the portico was to shift the eye from the extra piece of the addition and this proposal is a big difference from the conceptual plan presented last month. Ms. McGuire stated that she thought the extra portion of the addition should be considered a separate building in the design. Ms. Jorgenson asked for clarification on what Ms. McGuire was proposing. Ms. McGuire stated that the Commission was not supposed to design, only approve or disapprove. She said that her concern was the design put forward at this meeting. Mr. Gallo moved to approve BP2017-120 for exterior renovations as proposed to 343-345 High Street in keeping with IV.6 Additions, was seconded by Ms. Jorgenson and carried with four (4) in favor, Ms. McGuire opposed. The next item on the agenda was BP2017-130 from Sustainable Energy and James Bogden at 219 Calvert Street for a solar array. Ms. Silver read the application into the record. Mr. Bogden was present for the application. Ms. Mulligan stated that this house was built in 1960s and was not a contributing structure. The solar panels will be visible from the library parking lot as they were proposed to be installed on the back roof, which was situated perpendicular to Calvert Street. Ms. Silver stated that the biggest obstacle for this application was that the panels will be visible from Calvert Street. She said that this was a non-contributing property which required the Commission to be more lenient. Mr. Gallo stated that he was supportive of applicants seeking the use of solar panels, although he understood the panels may take away from the historic nature of the Town, noting that the look of power lines also distract from the district. Ms. Jorgenson stated that the area where this house is located is not flanked by historic properties and said that she did not think solar panel installation would be detrimental to the area. Ms. Jorgenson stated that she may feel differently if the house was on the other side of the street due to the Victorian houses on the block. Mr. Gallo stated that if the back end of the house was not the library’s parking lot he did not think the panels would be as visible. Ms. McGuire stated that 219 Calvert Street is a non-contributing building and entirely different architecture than the surrounding buildings and since the Commission reviews on a case-by-case basis, moved to approve BP2017-130 as it is in keeping with III.12.6 Solar, was seconded by Mr. Gallo and carried unanimously. The last item on the agenda was BP2017-134 from Walter/Hermes at 224 S. Water Street for a solar array. Ms. Silver read the application into the record. Mr. Eric Walter and Ms. Helena Hermes were present for the application. Mr. Walter stated that the array would be installed on the side of the house facing Wilmer Park. Ms. Mulligan stated that there was a plan to build a one-way road and three (3) townhouses next to the house eliminating some of the open space visible from Wilmer Park. Ms. Silver stated that although the house was new, she was concerned that the array would be seen from the Wilmer Park and the panels would be black on a gray roof. Ms. McGuire stated that the Guidelines also indicate that solar panels should not be on a primary roof and, in this case, that is the proposed placement, adding that she thought the addition of solar panels on this property would be a disservice to the building. After further discussion, Mr. Walter withdrew the application for solar panels. Ms. Ritchie stated that there was an assumption in the Guidelines that solar panels would only be used to increase efficiency in a house that was not energy efficient. The last application was a new build that was already extremely efficient but wanted the panels because they were interested in reducing their carbon footprint. Mr. Gallo stated that that the cost of the panels has decreased so it was more affordable for people. Ms. Ritchie stated that she thought there would be many more applicants for solar arrays. Ms. McGuire stated that energy costs are not the business of the Historic District, it was their appearance. Ms. McGuire stated that there were other ways to conserve energy and the Commission should not be swayed by solar technology, noting that it was rapidly changing. She said the Commission should continue to be true to the architecture of buildings. Ms. McGuire stated that she thought the Commission should become familiar with architectural styles, noting that the Commission was allowing bastardizing perfectly fine architecture. Ms. Silver stated that the property Ms. McGuire was alluding to had been bastardized in the 1950s. Ms. McGuire stated that the mansard roof defined the building and new elements would now become what defined it. Ms. Silver stated that the mansard roof was not in jeopardy. Ms. McGuire stated that the roof would no longer be the dominant feature. There being no further business, Ms. Jorgenson moved to adjourn the meeting at 6:10 p.m., was seconded by Mr. Gallo and carried unanimously.